McNalis, Daniel M. - Groelle & Salmon P.A. coverages and defense. Currently, Mr. McNalis’ litigation practice concentrates on construction defects, large property losses, insurance coverage issues, business interruption, arson and fraud, as well as commercial litigation. He has handled a wide variety of cases from residential property losses to large commercial property losses with multimillion dollar damages at issue. variety of civil cases tried includes insurance coverage disputes, catastrophe losses, arson, fraud, and defects cases. Mr. McNalis is versed in building construction having received extensive training in the fire academy, as a fire lieutenant, conducting fire safety inspections and training fire inspectors with the Chicago Fire Prevention Bureau. This experience has aided his abilities to handle construction and property damage cases. 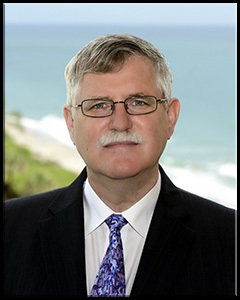 Additionally, he has served as an appraiser for property loss claims including fire losses and catastrophe claims for both residential and commercial properties.